According to the CDC, the Hepatitis C mortality rate is higher than 60 other infectious diseases combined, including HIV. And yet, in most individuals, Hep C, also referred to as HCV, is fully curable within a few months. If you have been diagnosed and would like assistance getting linked to a provider for treatment, please contact our Pharmacy Services department. We will discuss your needs and refer you to treatment resources, and we will be here for you throughout the treatment process to provide support as needed. Some clients may also be eligible for financial assistance with HCV medications. WNCAP Pharmacy Services can help you apply for Patient Assistance Programs, Co-Pay Cards, and/or enroll you in our Pharmacy Services Program so that your prescriptions are automatically filled each month and shipped directly to your address of choice. Using our Pharmacy Services can make medications affordable and easy to obtain, eliminating stress and enabling you to follow through with HCV treatment. 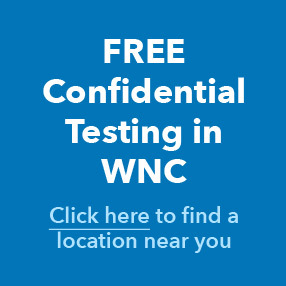 If you are unsure of your status and would like to get tested, WNCAP also provides free and confidential rapid testing by appointment. The highest mortality rate from chronic HCV occurs in people between the ages of 55 and 64. It is highly recommended that everyone born from 1945-1965 is tested, regardless of other risk factors. The primary danger of untreated HCV is chronic liver disease, which may be asymptomatic for several decades until it’s in a more advanced stage. This can include cirrhosis and liver cancer.